Welcome to Day #26 of South American Chocolate Theme Weeks. Today we're deviating from single origin bars with no flavor inclusions, to include a Cabernet Sauvignon Peru bar from Raaka Chocolate (Brooklyn, NY). The Peruvian-grown cacao for today's bar was from CAC Pangoa, an agricultural cooperative that produces coffee, cacao and honey, and supports sustainability in the Central Amazon region of Peru. 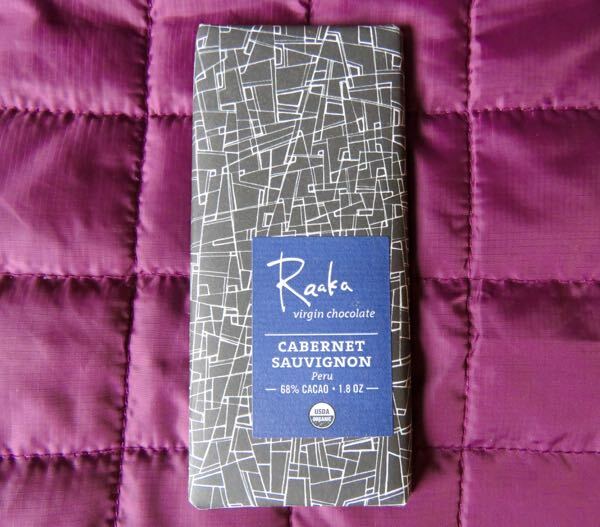 *Today's gluten free, soy free and vegan bar contained just four ingredients: "organic cacao beans, organic cane sugar, organic cacao butter (and) cabernet sauvignon."